The San Luis Obispo County Planning Commission has only one item on its Aug. 10 meeting agenda, but it's a humdinger: cannabis regulations. NEW REGS On Aug. 10, the SLO County Planning Commission will review land-use ordinances to regulate medical and recreational marijuana and make recommendations to the Board of Supervisors. The commission will take the full day to review the proposed land-use ordinances that will govern both the medical and recreational marijuana industry in SLO County and make final recommendations to the Board of Supervisors, which is scheduled to vote on the policies on Oct. 3. • Cannabis cultivation for personal use (six plants maximum) and as a caregiver (five patients maximum) do not require land-use permits. • Commercial cultivation requires a minor use permit (and in some cases a conditional use permit) and is allowed on land zoned agriculture, rural lands, residential rural, and industrial. • The county will administer 100 cultivation permits at any one time. A single applicant may receive more than one permit. Permits are distributed to regions of the county based on available land. In North County, 59 permits are available; in South County, 25; Coastal, 13; and San Luis Obispo, five. • Commercial cultivation is prohibited in the Carrizo Planning Area, where the vast majority of current grows are operating. • Grow sites need a 300-foot setback from property lines. • Manufacturing, distribution, and dispensary operations require permits and are allowed in commercial and industrial zones. Mobile delivery services, the only legal means of purchasing marijuana in the county today, must be based out of a "permanent structure." • Manufacturing with "volatile substances" is prohibited. 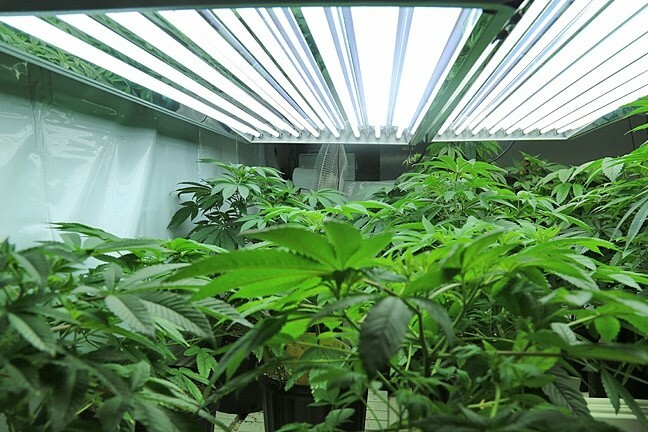 Some of the rules, as they are proposed, drew criticism from Jason Kallen, the executive director of the SLO chapter of the National Organization for the Reform of Marijuana Laws (NORML). Kallen especially took issue with the 100-grow cap and 300-foot setbacks. "The 100 licenses needs to be changed," Kallen said. "We need to let the market rule this." Kallen said the 300-foot property setbacks could price out any grower who, "can't afford to buy 20 acres or more." "It eliminates a whole bunch of property in this county. It's choosing winners," he said. Despite the critique, Kallen expressed hope the Planning Commission and Board of Supervisors would find common ground with cannabis industry advocates. "I'd really like to see a 5-0 vote, so we know the county supervisors are on board," he said. "We want this to work not only for the growers but for the county." County officials say they expect the Planning Commission to get through deliberations on Aug. 10 but that the discussion could spill over to a future meeting in late August or mid-September. Editor's note: Previous versions of this article misspelled Jason Kallen's name.